A lawyer for two imprisoned police chiefs claimed on Friday that the two men, who had been privy to the secrets of President Recep Tayyip Erdoğan, were interrogated under the influence of drugs and torture, denying the accuracy of their statements. 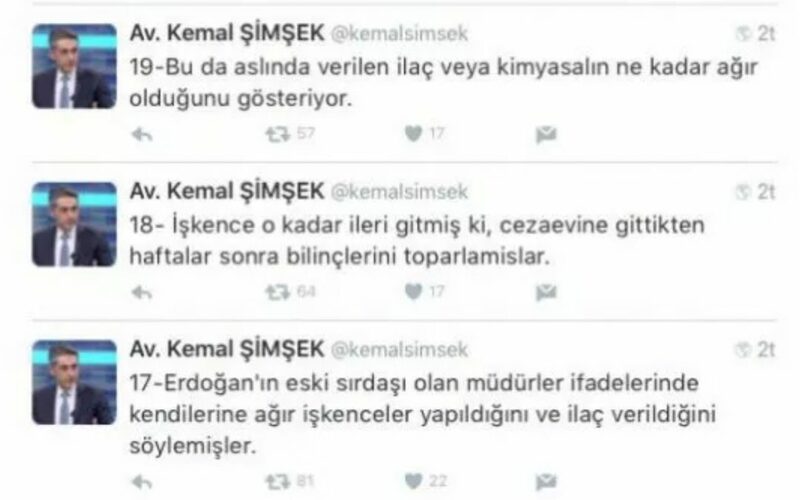 Lawyer Kemal Şimşek wrote on his Twitter account that two deputy chiefs from the national police intelligence department, Lokman Kırcalı and Gürsel Aktepe, were held in a secret location for interrogation and were tortured and drugged before their questioning. The two are accused of involvement in an attempted coup in Turkey on July 15 as they were allegedly caught inside the department of intelligence on the night of the putsch. However, the lawyer claimed the police chiefs, who had previously been fired, were found two kilometers from the intelligence department, although the details as to how and why they ended up there are not known. Şimşek also asserted that the two intelligence chiefs subsequently testified in a hearing remotely and denied allegations of coup involvement and that they had received orders from Muslim scholar Fethullah Gülen, who is accused by Erdoğan of masterminding the abortive coup on July 15. According to an analysis by Ali Adil Çakar on news portal TR724, the chiefs could have been trapped by an unknown person or persons since their proximity to the intelligence department has been presented as one piece of evidence against them in alleged coup plotting. The lawyer further argued that the coup attempt enabled the rounding up of all people in the bureaucracy who knew Erdoğan’s secrets.